Professor Fiona Rohde's substantive role is as Deputy Dean (Academic) within the Law School. In this role, she is a member of the School's senior leadership team and is responsible for a broad range of strategic and operational activities related to the academic programs and the quality of learning and teaching within the School. 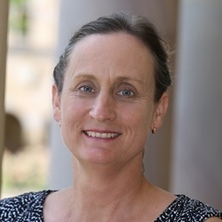 Prior to joining the School of Law, she has been involved in substantial service to the UQ Business School and the University in her capacity as the Chair of the Business School's Education Committee and as the Chair of the Teaching and Learning Committee for the BEL Faculty. These roles have instrumental in the Business School achieving and now maintaining its international standing. In addition to these operational activities she has played a leading role in various internal program reviews and external accreditations, such as the AUQA, AACSB and EQUIS. The latter two being the major accrediting bodies worldwide for Business Schools. Taking a lead on these reviews requires extensive knowledge of the school, faculty and university, in addition to understanding the major requirements of the accrediting bodies. Nationally she has played a leadership role on the executive for the Australian Business Deans Council's Teaching and Learning Network where she held the portfolio in relation to professional development. A major initiative in this portfolio was the organization of two one and a half day professional development workshops each year. These workshops are attended by the Associate Deans Teaching and Learning from Business Schools and Faculty around Australia. Her research interests include the outsourcing, data and information management, Standardized Business Reporting and their effect on various types of organizations. She has published over 30 articles in various outlets including the Journal of the Association for Information Systems, Information Systems Research, European Journal of Information Systems, Decision Support Systems, International Journal of Accounting Information Systems, and Accounting and Finance. Her research extends beyond her specific discipline, to include scholarship of teaching synergistic to her major leadership roles. Via her teaching and learning connections, especially those borne from her role within the Australian Business Deans Council's Teaching and Learning Network, she has been an investigator on two ALTC grants (both completed) totalling approximately $420,000. Professor Rohde worked for KPMG Peat Marwick in the Computer Audit Division assisting in team audits in mining and manufacturing firms before joining the school. Technology and Not-for-Profit Workers: A longitudinal study, testing and extending the UTAUT model in the not-for-profit environment. Technology acceptance: Are NFPs or their workers different? Bowen, P. L., Rohde, F. H. and Basford, J. (2008). Ex Ante evaluations of alternate data structures for end user queries: Theory and experimental test. In S. Clarke (Ed. ), End-User Computing: Concepts, Methodologies, Tools, and Applications (pp. 2096-2123) London, UK: IGI Global. Standard Business Reporting in Australia: efficiency, effectiveness, or both? Matook, Sabine, Rohde, Fiona and Krell, Katharina (2013) Perceptions of illegitimate power in IT projects. Scandinavian Journal of Information Systems, 25 2: 3-34. Matook, Sabine, Rohde, Fiona H. and Krell, Katharina (2013) Perceptions of illegitimate power in it projects. Scandinavian Journal of Information Systems, 25 2: 3-34. Bowen, Paul L., O'Farrell, Robert A. and Rohde, Fiona H. (2006) Analysis of competing data structures: Does ontological clarity produce better end user query performance. Journal of the Association for Information Systems, 7 8: 514-544. Mohd Salleh, N. and Rohde, F. H. (2005) Enacted capabilities on adoption of information systems: A study of small and medium-sized enterprises. Communications of the IIMA, 5 3: 1-15. Borthick, AF, Bowen, PL, Liu, MR and Rohde, FH (2001) The effects of normalisation on the ability of business end-users to detect data anomalies: An experimental evaluation. Journal of Research And Practice In Information Technology, 33 3: 239-262. Borthick, A. F., Bowen, P. L., Liew, S.T. and Rohde, F.H. (2001) The effects of normalization on end-user query errors: An experimental evaluation. International Journal of Accounting Information Systems, 2 4: 195-221. Wijesooriya, Chinthake , Heales, Jon , Rohde, Fiona and Clutterbuck, Peter (2018). The Role of Formal and Informal Learning Systems in Virtual Learning Environments. In: PACIS 2018 Proceedings. Pacific Asia Conference on Information Systems, Yokohama, Japan, (). 26 - 28 June 2018. Wijesooriya, Chinthake, Heales, Jon, Rohde, Fiona and Clutterbuck, Peter (2018). Understanding Formal and Informal Learning Systems in Contemporary Learning Environments. In: PACIS 2018 Proceedings. Pacific Asia Conference on Information Systems, Yokohama, Japan, (). 26 - 28 June 2018. Selling standard business reporting: Is the dealmaker efficiency or effectiveness? Krell, Katharina, Matook, Sabine and Rohde, Fiona (2009). The effects of regulatory pressure on information system adoption success: An institutional theory perspective. In: S.Newell, E. Whitley, N. Pouloudi, J. Wareham and L. Mathiassen, Proceedings of the 17th European Conference on Information Systems. European Conference on Information Systems, Verona, Italy, (1-12). 8-10 June 2009. Greenfield, G. and Rohde, F. (2008). Technology usage considerations: Not all organisations or workers may be the same. In: Hunton, J., Sutton, S. and Vaassen, E., Program IRSAIS 2008. Ninth International Resesarch Syposium on Accounting Information Systems, Paris, France, (1-21). 13 December, 2008. Krell, Katharina, Matook, Sabine and Rohde, Fiona (2008). Understanding information system change: The relationship between reasons, goals, and types. In: W. Huang and H.H. Teo, Proceedings of the 2008 Pacific Asia Conference on Information Systems - Leveraging ICT for Resilient Organizations and Sustainable Growth in the Asia Pacific Region. Pacific Asia Conference on Information Systems PACIS 2008, Suzhou, China, (1202-1213). 3-7 July 2008. XBRL: Is the X factor efficiency or effectiveness? Tee, Sing W., Bowen, Paul L., Doyle, Peta and Rohde, Fiona H. (2006). Data quality initiatives - striving for continuous improvements. In: A. Koronios and V. Chanana, AuSIQ 2006: Proceedings of the 1st Australasian Workshop on Information Quality. 1st Australasian Workshop on Information Quality (AusIQ 2006), Adelaide, SA, (1-10). 22-23 June, 2006. Al Ma'mri, G. S., Bowen, P. L., Rohde, F. H. and Yang, L. L. (2006). Dissecting query performance in logical data models: Parsimony vs. greater ontological clarity. In: P. B. Lowry, K. Saeed and S. Wiedenbeck, Proceedings of the Fifth Annual Workshop on HCI Research in MIS. 5th Annual Pre-ICIS Workshop on HCI Research in MIS (HCI/MIS'), Milwaukee, Wisconsin, (35-39). 9 December, 2006. Ashkanasy, N. M., Rohde, F. H., Bowen, P. L. and Wu, C. Y. A. (2006). End user query performance: The effect of user characteristics in the presence of information request ambiguity. In: B. Tuttle and M. Curtis, AAA Information Systems Section Midyear Conference. AAA Information Systems Section Midyear Conference, Scottsdale, Arizona, (). 4-7 January, 2006. Rohde, Fiona, Bowen, Paul, Tee, Singwhat and Doyle, P. (2005). An empirical investigation of factors influencing organizations to improve data quality in their information systems. In: S. A. Leech and C. B. Ferguson, Proceedings of First Asia/Pacific Resesarch Symposium on Accounting Information Systems. First Asia/Pacific Research Symposium on Accounting Information Systems, Melbourne, (). 2 July, 2005. Salleh, N. A. M. and Rohde F. H. (2005). Enacted Capabilities on Adoption of Information Systems: A Study of Small- and Medium-Sized Enterprises. In: Proceedings of the 16th Annual International Information Management Association Conference. 16th Annual International Information Management Association Conference, Dublin, Ireland, (). September, 2005. Analysis of competing data structures: Does ontological clarity produce better end-user query performance? Bowen, P. L., O'Farrell, R.A. and Rohde, F. H. (2004). Analysis of competing data structures: Does ontological clarity produce better end-user query performance?. In: R. Agarwal, L. Kirsch and J. I. DeGross, Proceedings of the 25th International Conference on Information Systems: Capital Exchange: Crossing Boundaries and Transforming Institutions Through Information Systems. 25th International Conference on Information Systems, Charlottesville, Virginia, USA, (141-155). 12-15 December, 2004. Bowen, P. L., O'Farrell, R.A. and Rohde, F. H. (2004). How does your model grow? An empirical investigation of the effects of ontological clarity and application domain size on query performance. In: R. Agarwal, L. Kirsch and J. I. DeGross, Proceedings of the 25th International Conference on Information Systems: Capital Exchange: Crossing Boundaries and Transforming Institutions Through Information Systems. 25th International Conference on Information Systems, Washington, (77-90). 12-15 December, 2004. Bowen, P. L., Chang, C. and Rohde, F. H. (2004). Non-length based query challenges: An initial taxonomy. In: A. Dutta and P. Goes, Proceedings: 14th Annual Workshop on Information Technology and Systems. 14th Annual Workshop on Information Technology and Systems, Washington D.C, (74-79). 11-12 December, 2004. Rohde, F. H. and Bowen, P. L. (2003). End user query performance: The interaction of user characteristics and information request ambiguity. In: P. Zhang, J. Lazar and S. McCoy, Proceedings of the Second Annual Workshop on HCI Research in MIS. Annual Workshop on HCI Research in MIS, Seattle, Washington, (80-84). 12-13 December, 2003. Rohde, F. H. (2003). IS/IT outsourcing practices of small and medium sized manucturers. In: S. G. Sutton J. E. Hutton and W. K. Harmon, Proceedings of the Fourth International Research Symposium on Accounting Information Systems. International Research Symposium on Accounting Information Sys, Seattle, Washington, (34-67). 14 December, 2003. Bowen, P. L., Rohde, F. H. and Wu, C. (2003). Imperfect communication between information requestors and information providers: The effects of syntactic and extraneous ambiguity. In: S. G. Sutton, W. K. Harmon and J. E. Hutton, Proceedings of the Fourth International Research Symposium on Accounting Information Systems. International Research Symposium on Accounting Information Sys, Seattle, Washington, (68-104). 14 December, 2003. Bowen, P. L., Ferguson, C. B., Lehmann, T. and Rohde, F. H. (2002). Perception, intuition and database queries: Personality factors affecting database query performance. In: Proceedings of the Third International Research Symposium on Accounting Information Systems. International Research Symposium on Accounting Information Systems, Barcelona, (). 15 December, 2002. Borthick, A. F., Bowen, P. L., Liew, S. and Rohde, F. H. (2000). The effects of normalization and query complexity on end-user query errors: An experimental evaluation. In: Proceedings of the First International Research Symposium on Accounting Information Systems. IRSAIS 2000, Brisbane, (1-15). 14 December 2000. ACIS 2010 Proceedings. Information Systems: Defining and Establishing a High Impact Discipline. 21th Australasian Conference on Information Systems (2010) . Edited by Michael Rosemann, Peter Green and Fiona Rohde. ACIS 2010: 21st Australasian Conference on Information Systems, 1-3 December, 2010, Gardens Point, QLD, Australia. Rohde, Fiona H. (2000). Outsourcing of information systems functions : a multicase study PhD Thesis, School of Busines, The University of Queensland. Rohde, Fiona H. (1992). Does JSD produce good decompositions? : an investigation of Jackson's System Development Methodology using the Ontological Model proposed by Wand and Weber Master's Thesis, School of Business, The University of Queensland.